Habitat - Low woods, hammocks, swamps, ditches, roadsides, waste places. 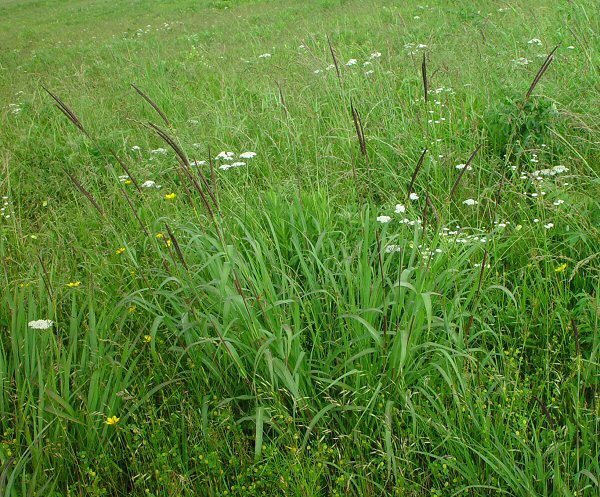 Other information - This common grass species can be found throughout most of Alabama. 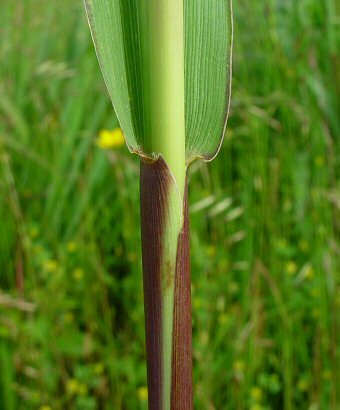 The plant can be identified by its large leaves and large inflorescences. 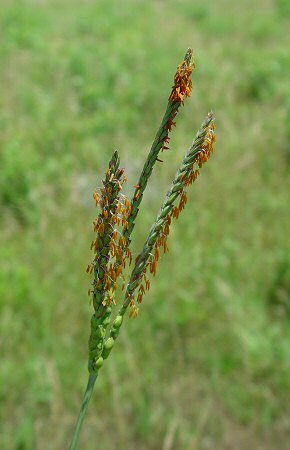 The racemes of the inflorescence have the pistillate flowers at the base and the staminate flowers above. The pistillate flowers are depressed into the sculptured rachis of the raceme and are quite striking to look at. 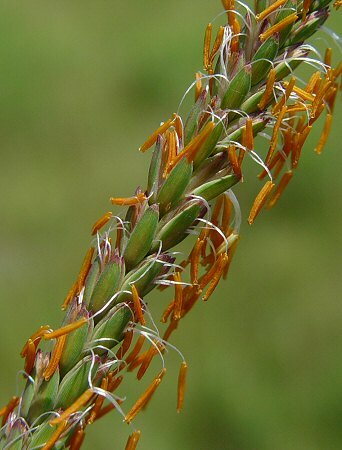 Gamma Grass is an important prairie grass in the midwestern U.S.
Gray reported that the genus name Tripsacum derives from the Greek root "trib(o)" or "tript(o)" meaning "to rub, polished" for the shiny, polished raceme. 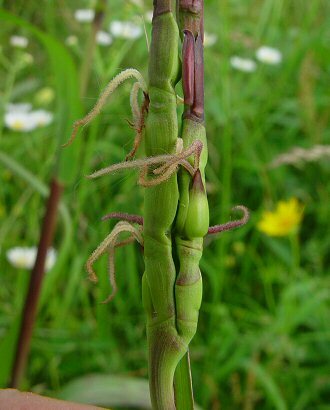 The species epithet dactyloides derives from the Greek "dactyl(us)" meaning "a finger or toe" and "oid" meaning "resembling, like, form" for the plants resemblance to Dactylon, an ancient name of a grass. Photographs taken at Taberville Prairie, MO., 6-7-03 and 6-16-05.